Sun busking on a winter morning at Kaziranga NP..Thankful to Pralay Lahiri for his kind assistance. 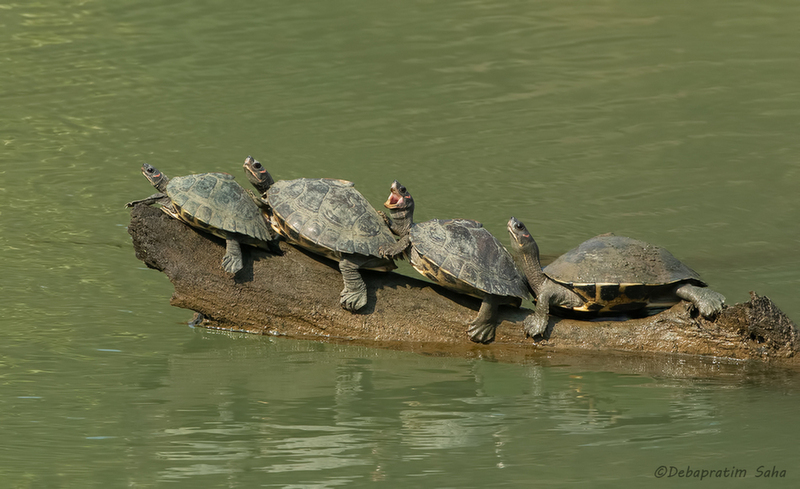 Love how the turtles are lined up so nicely and the open mouth is a nice touch. A great line up of these sun bathing beauties, and a nice touch of humour with number three! Nice "herd" of turtles their, looks like they were following the leader, until the frontrunner ran out of real estate. Good job coaxing them to give the camera a glance for the shot. Wow...that open mouth has made the difference. Was a pleasure to shoot with you.